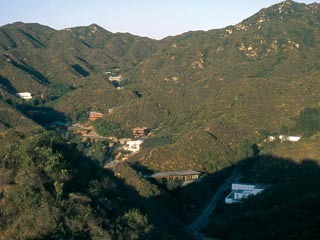 5 Hotels found in China! Open All Year... 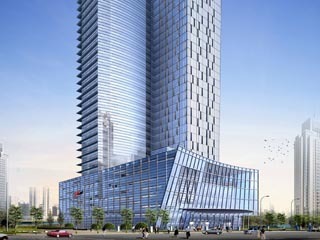 Opening in late 2008, the first Gran Meliá property in China, Gran Melia Shanghai is a deluxe 5* hotel located in the city’s Pudong development zone. 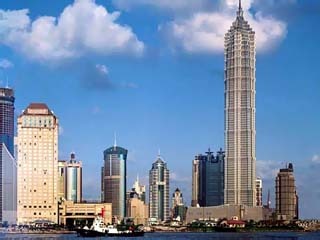 With a sweeping view of the famous Huangpu River and the Shanghai skyline, the hotel is an integral part of the Lujiazui financial district. Open All Year... Grand Hyatt Shanghai is the 'highest hotel in the world' (located on the 53rd to 87th floors of the Jin Mao Tower), in the heart of Pudong, Shanghai's financial and business district, and with easy access to the Shanghai Stock Exchange, Shanghai World Financial Centre and the International Conference Centre. 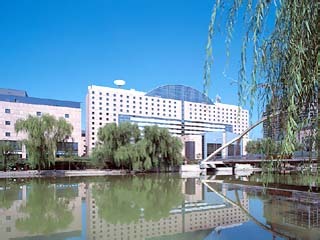 Open All Year... Northeast of the Forbidden City and conveniently located in the heart of Beijing’s diplomatic and business district, Kempinski Hotel Beijing Lufthansa Center is 20-minutes drive from the Beijing International Airport. Open All Year... 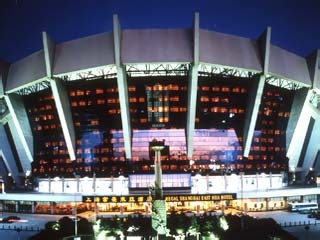 The Regal Shanghai East Asia Hotel is located in the 80,000-seat Shanghai Stadium and Sports Centre the largest in Asia, giving it a unique location with a magnificent view of the field.